Apple is offering the Incase Snap Case for free with their free case program. Those who are thinking of going bare naked with their iPhone 4 should really consider this case as it adds a bit more protection to their phones. The InCase Snap Case clear is made from some sort of semi-hard plastic. The material is bendable enough so you can easily fit your phone but strong enough to withstand falling a few inches off the ground. The Incase Snap case is compatible with other skin guardz for the iPhone. You can check my Incase Snap Case Clear for iPhone 4 Review. This is available at Mobile Fun for £8.97. 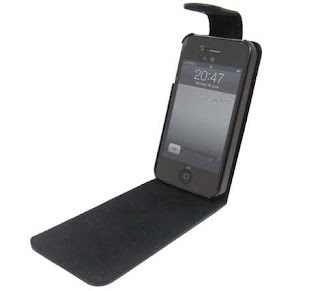 Your iPhone 4 fits perfectly thanks to the solid plastic guide rails. The case has a hardened outer shell to protect it from short drops and the inner soft velvet material helps protect the screen of your phone. The downside? There's no access for the charger on the bottom of the case, so the case has to remain open while charging which kinda negates the protection issue since I usually drop my phones while charging but other than that, it's cheap. This flip case is more expensive than the previous flip case I've mentioned but it's made from top notch materials. You can get the SGP Illuzion case for $37.99 plus $9.72 shipping to the UK at the SGP Store. Genuine leather case on the outside, soft fabric on the inside, glued together and not stitched. There's no magnet that might damage your phone but like the previous one, it opens at the bottom so there's no access for the charger. 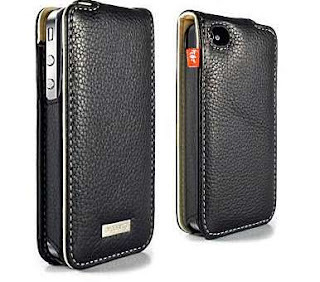 The genuine leather is flexible and fits perfectly on the iPhone 4. You can check out my full review plus more pictures on my SGP Illuzion case review. Another leather flip case from Mobile Fun but more expensive than the previous one at £22.47. The good points are: it's made from good quality faux leather, stitching is solid, it has an easy access for the charger at the bottom. Bad points? Some people say that the camera hole doesn't fit perfectly and the flap is on top so it gets in the way when taking pictures in portrait mode. 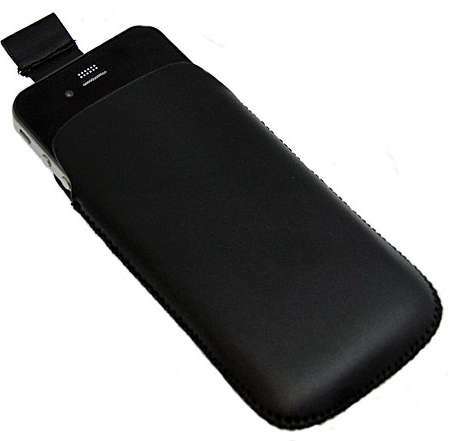 A leather pouch case from Mobile Fun for £12.95. Your iPhone will fit snugly in this and taking out your phone is easy with the the pull tab and the microfiber interior also helps clean the front and back of your phone from those fingerprint smudges. 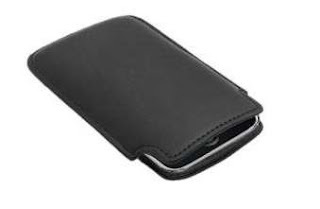 The case is made from soft leather so it won't add bulk in your pocket unlike the previous two cases. The downside? You have to constantly pull out your phone from the case in order to use it which may make your phone prone to scratches if some small solid particles happen to go inside the case. I recommend using Zagg Invisible shiled or other screen protectors in conjunction with this case. This one is like the previous case only without the pull tab. It's also made form soft leather and has a microfiber interior. It's from Amazon and is considerably much cheaper than the previous one at only £2.45. I see similar disadvantage as the previous one with the addition that this might be harder to pull out because it doesn't have a pull out tab but so far, reviews are favorable over at Amazon. This one is also from Amazon and costs £17.95 with free delivery within UK. The Incipio Feather case is good for protecting your phone from scratches and it doesn't add any bulk. Made from ultra-light and ultra strong polymer, it has a soft matte finish and includes two surface protectors and cleaning cloth. This is great for protecting your phone when inside your pocket or purse but won't really do much good if you drop your phone. 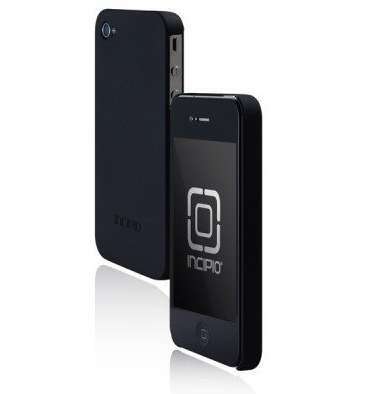 This one is similar to the Incipio Feather case and costs the same at £17.95 over at Mobile Fun. The difference is, according to mobilefun, it's made from impact resistant flexible plastic shield so it could probably do more to protect your phone from drops though I wouldn't recommend doing so just to test it. It also has a cut out at the back so you can show off that precious Apple logo and comes with an iPhone 4 screen protection kit. 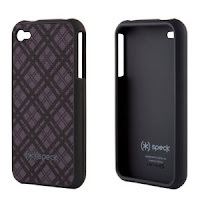 The Speck Fitted Case for iPhone 4 is included in the free case program for iPhone 4. If you haven't ordered your free case yet, this one should be on top of your list. Although the one included in the free case program is the black plaid one, there are other designs available on Amazon. 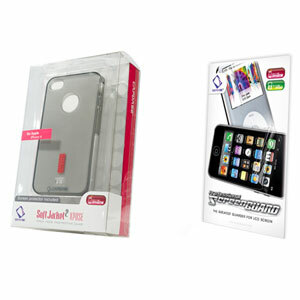 The case is made from high quality durable plastic material and it can't be easily taken apart. Some of the cons are: it doesn't have an included screen protector, it's a bit thicker, and the opening for the mute and volume control is bigger, making it prone to scratches. 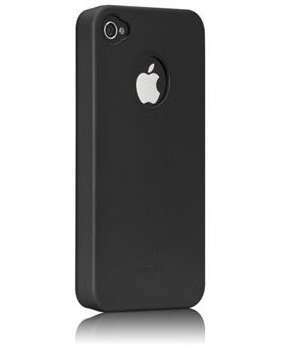 You can check my full Speck Fitted Case for iPhone 4 review. This one costs £14.95 over at Mobile Fun, unfortunately, it's only available for pre-order. The soft jacket 2 xpose is made up of strong silicone material. It covers most of the iPhone 4, even the volume rocker but leaves a big opening on the back for the Apple Logo. Good thing they have included a ciruclar plastic protector which you can put over the logo so scratches can be prevented. Aside from the silicone jacket, this also comes with a carry case, a stand, and a screen protector. It's a good value for money and will help protect your phone from scratches and the antenna gate issue but I don't think it would do your phone any good if you suddenly drop it. You can read my CAPDSE Soft Jacket 2 Xpose Review by clicking the link. +1 for the speck fitted. It's what I ordered Apple's free case program and it's really durable. But like you said, it's annoying that you can't take it apart easily. I am waiting for someone to kindly produce a flip-style case with a LARGE camera hole!!! Please! I have had 2 of the flip-style ones currently on offer and they do the job 100% with amazing protection but both cause vignetting to the camera lens which rather defeats the purpose for me as a big iphone camera user! Pity! If anyoneone knows of such please reply after me. Great review this though.